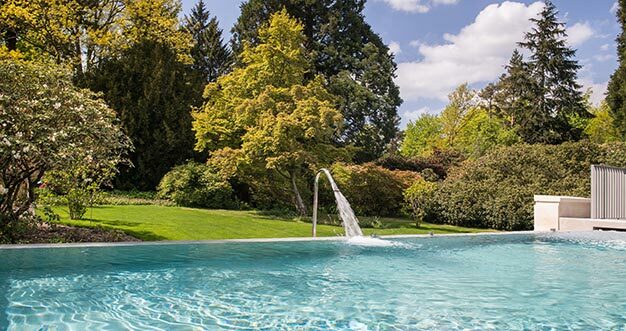 Could Rudding Park’s spectacular new Rooftop Spa Garden put Harrogate back on the spa map? Scottish Spy heads to the launch party to find out. Blue skies and warm sunshine were the perfect cocktail to launch the UK’s first and only Rooftop Spa Garden at Rudding Park, part of their new £9.5 million destination spa just outside the historic spa town of Harrogate in Yorkshire. 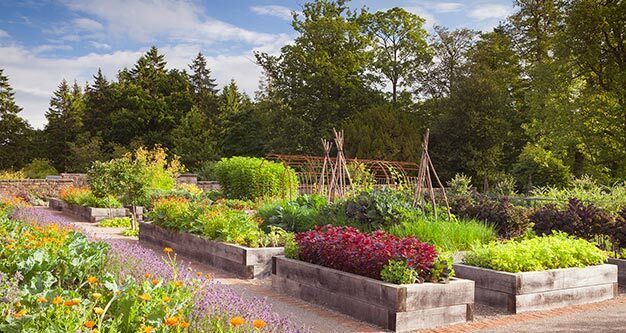 Many years in the planning, the garden has been designed by horticulturist Matthew Wilson, who won the People’s Choice award for his 2016 Chelsea Flower Show offering, and is a BBC Gardener’s Question Time regular. Not surprisingly, there was a wealth of expectation from guests attending the opening party, all wearing cocktail dresses or smart suits, a few even in black tie. Owner and chairman Simon Mackaness joked in his opening speech that this would be the last time that guests could take a tour of the spa fully clothed. Very much a hands-on family project, Simon and his wife Judi were influential in the overall spa design, while their son Matthew was appointed Spa Manager last year. After sampling some imaginative garden-themed nibbles at La Horta Café, off we set on a tour - plastic Champagne flute in one hand, and Spa Journey Guide containing a useful floor plan to the extensive 45,000 square footage in the other. Emma, the PR, explained that the concept of the spa was to reflect the beauty of Rudding Park’s natural surroundings, bringing the outdoors in. This was immediately apparent in the light, airy and incredibly spacious Spa Welcome area. The spa is set on three levels and, in the spirit of nearby Harrogate, uses natural waters from the grounds in its pools. The entrance is along a corridor adjoining reception, decorated with life-size sculptures in mid-air diving poses. Changing rooms are adorned with panoramic scenes, and there are 11 treatment rooms, one for couples, using ila, Elemental Herbology, Carita and Jennifer Young products, for those living with or beyond cancer. 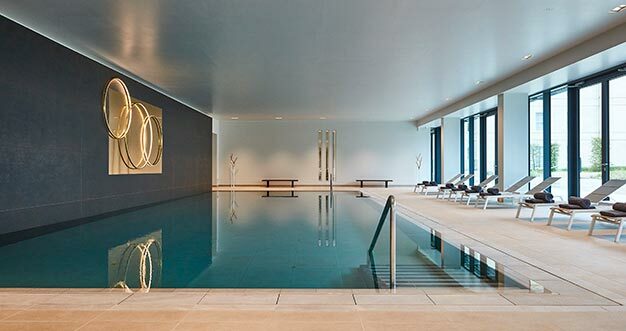 Inside the spa, a large swimming pool opens onto a courtyard, with loungers in and out. Outside is a heated hydrotherapy pool overlooking the gardens, with a foot volcano, submerged loungers and swan neck massage. 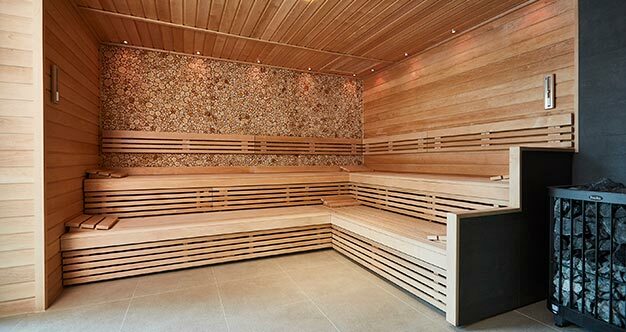 The Juniper Log Sauna also provides calming horticultural views through a glass-fronted wall, while the Snail Shower Experience plays birdsong as you stand in the tropical rain or refreshing cool mist. The Herbal Bath Steam Room used freshly-picked rosemary from the Kitchen Garden to add to scents of lavender and menthol, while the Relaxing Foot Spa looks over the lush landscape. 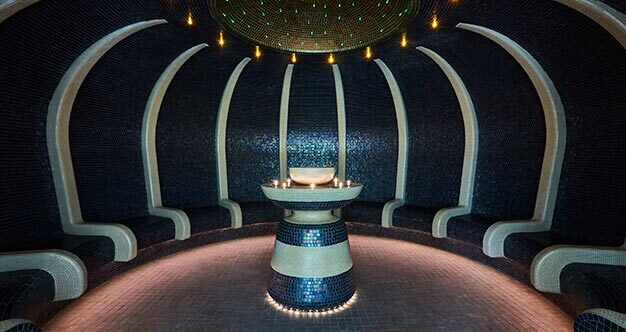 There’s a circular Luxury Steam Room with a soaring mosaic dome and comfy seats with arm rests. To boost circulation, the Ice Fountain is perfectly positioned by the Panoramic Sauna, with woodland views and infused with scents of flora and fauna. The Mind and Sense Zones are relaxation areas with a twist: nod off in the dark Sleep Zone under a starlit sky, or try the Audio room with personal headsets to listen to music or meditation. For the Mind, a ‘literary wall’ offers books on art, well-being and even mandala colouring-in therapy. The Visual Zone projects images of lapping waves, wildflower meadows and majestic mountains on the ‘video mood wall’. At the top of a staircase with a quirky giraffe sculpture, is the Roof Top Spa Garden. Designed to evolve with the seasons, the topiary beech domes, ornamental grasses and scented plants provide a haven of peace and tranquillity, while it was large enough to hold the 400 guests that evening. There’s a warm open-air Spa Bath, a Garden Sauna Cabin and Outdoor Shower. There is also a relaxation area where a row of warming, adjustable Evo Loungers looked out over the parkland and woodland glades. A wheelbarrow of iced Champagne bottles stood in one corner - the best alternative use of a gardening tool that I’ve ever seen. Guests were enjoying views of the sunset from the Sun Deck: the spa will be open for Evening Starlight Experiences as well as full day, mornings or afternoons. Horto on the ground floor has a stylish bar, bold artwork and vibrant tables and chairs, many in floral upholstery. Floor to ceiling windows overlook tables in the courtyard. 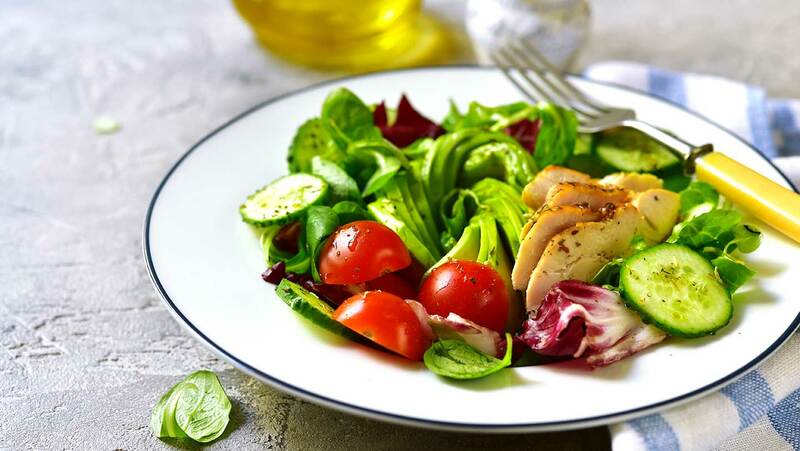 Under the guidance of acclaimed Yorkshire Chef Murray Wilson, this spa café by day and fine dining restaurant by night offers a healthy selection of seasonally inspired dishes (many vegetarian) using organic, home-grown produce from the hotel’s Kitchen Garden. I was also very glad to see some wicked desserts on the menu, including warm honey banana bread. If the delicious and imaginative canapés are anything to go by - such as steak and chips, goats’ cheese pastries with beetroot, or even crunchy crudités served ‘growing’ out of a dip in a vegetable box - I’m looking forward to booking a table. A highlight was the heated Hydrotherapy Infinity Pool: ease muscles and limbs as you look over the water’s edge at flowering magnolia and manicured gardens below. The pièce de résistance has to be the Roof Top Spa Garden, with its birds’-eye views of the hotel and grounds. My favourite, though, was an innovative washing-peg bench by the heated Spa Bath – every garden should have one. With so much to offer, I feel certain this exceptional spa will elevate Harrogate once again to becoming a world-renowned spa destination, just as it was in the 19th Century. 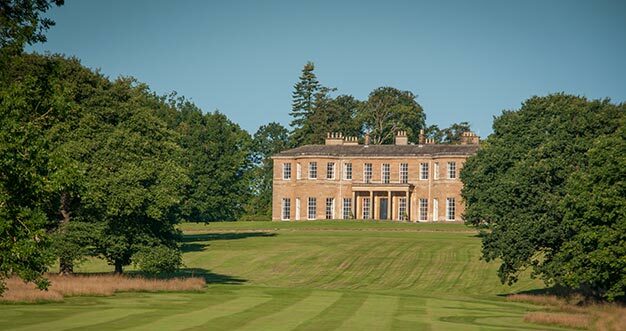 Find out more about Rudding Park. Spa packages start from £46 per person.